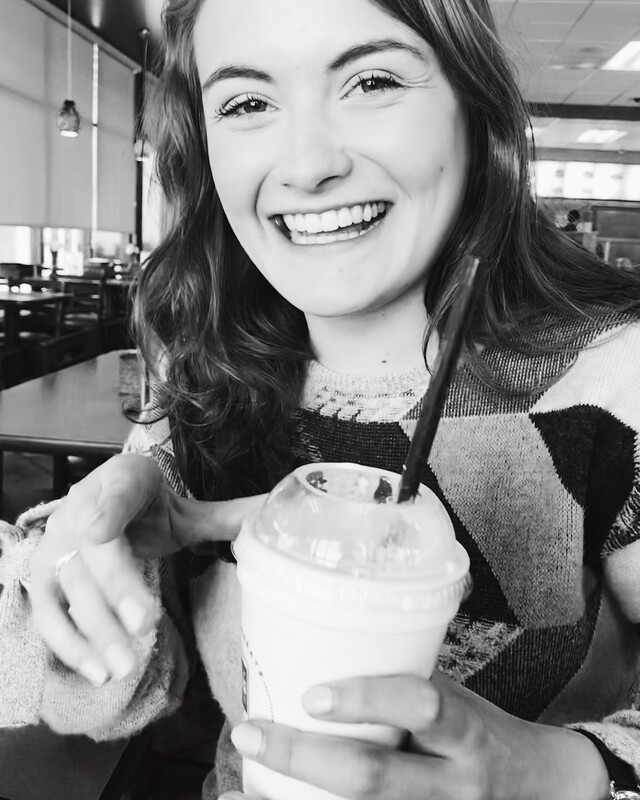 Welcome to Anya Kaufman, our new Sustainability Intern! She’ll be working with our dedicated Environment Team who work to fulfil the University’s sustainability agenda. 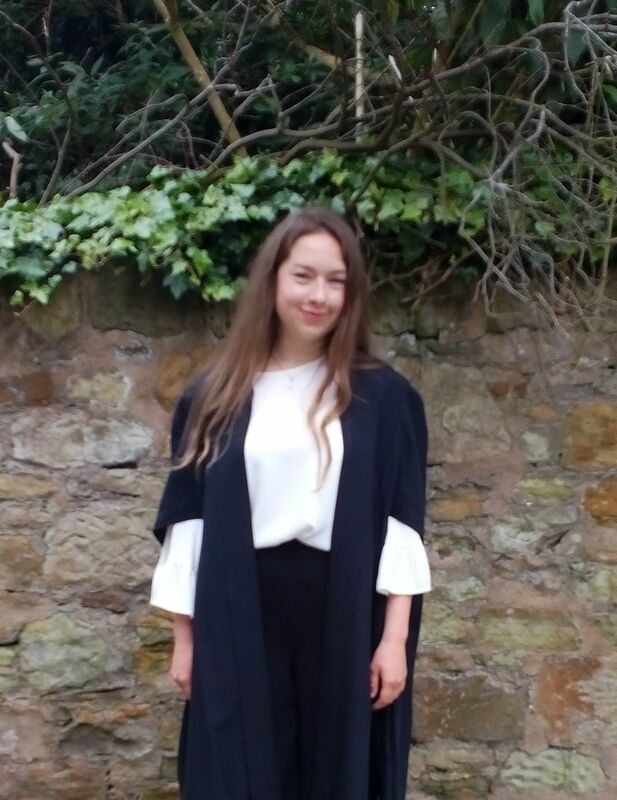 Anya graduated from the University of St Andrews this June with a degree in Sustainable Development. While a student Anya helped to revitalise the Sustainable Development Society and was the society President for two years. 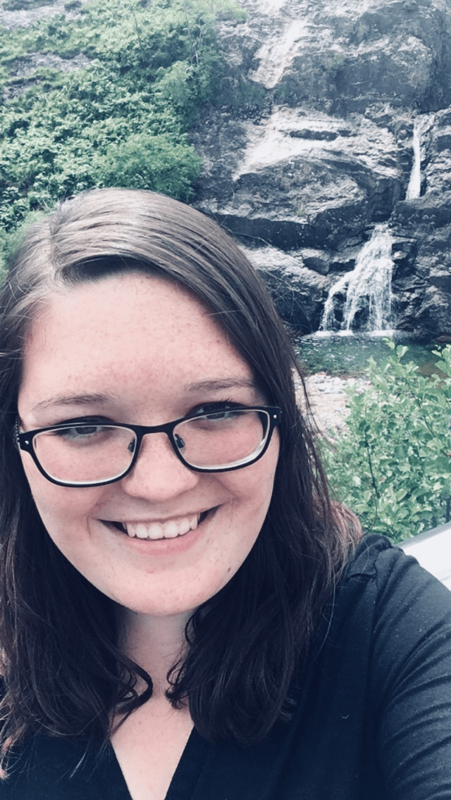 She plans on using this experience as well as the knowledge she gained from her course to continue working on projects fostered by previous Sustainability Interns, and starting some of her own! Much of Anya’s role will be focusing on outreach and engagement with students, staff, and the wider community. You’ll see her working with student societies and Transition at different events such as the Green Fayre, Green Week, and the Fairtrade Fortnight. She’ll also be heavily involved with the Environmental Hall Reps and Environmental Facilitators Network. If you want to get involved with any of those projects or really anything that involves the environment team, please send Anya a message at ak246@st-andrews.ac.uk. She’s always keen to hear about new ideas to improve the university’s level of sustainability from reducing the use of disposable coffee cups to conducting interdisciplinary sustainability research. We often don’t think about where our food comes from, and even if we do, it can be hard to know what we’re looking for. We’ve all been there, running around the supermarket getting distracted by the special offers and forgetting what we even came in for. But it’s important for us to take a minute just to reflect on what we are actually doing. Are we buying sustainable, fairly traded food? Or are we buying non-organic produce, and sending most of it off to landfill? Well fear not, because here are a few tips on how to make sure that the food on your plate is as sustainable as can be. The first thing is Fairtrade and ethical food. There are a lot of different labels, and claims of fairly traded food, but we need to know what they actually mean. Fairtrade food has the well-known label on the packaging: the Fairtrade Mark. It applies to the specific product being sold, and the fairtrade premium you pay goes to disadvantaged workers who are often from developing countries. 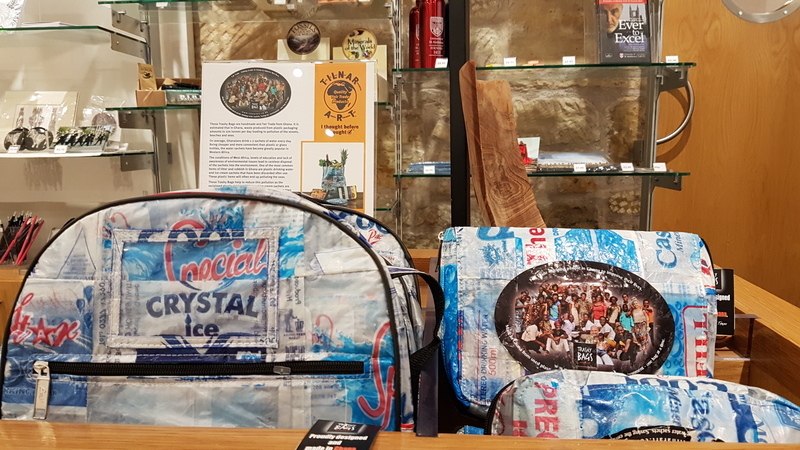 Fairly traded often means the products are produced ethically and workers are treated well, however the producers are small-scale and can’t afford the fairtrade certification. Even better is to try and buy direct-trade products – meaning the company (e.g. a coffee or a chocolate brand) works directly with the coffee and cocoa producers, cutting out the middle man and providing better value for farmers and workers. Ethical, fairly traded and direct trade food has no universal label, so it can be hard to spot, but is still important to know about. It is focused on protecting workers’ rights throughout a company, instead of just the specific product. So why should we worry about this? It’s important to ensure the food we buy and enjoy does not come at the cost of other people’s suffering and all it takes is a check of the label for the Fairtrade mark. The next thing to consider is organic food. To be labelled organic, 95% of the ingredients in the food product must be from organically produced plants or animals. This means that it must be produced without the use of synthetic fertilisers, pesticides, animal feed additives or growth regulators. It also rules out most genetically modified foods. This is important to consider for two main reasons. The first is that they are better for your health, with more nutrients and less artificial chemicals. The second is that they are much better for livestock and for the environment, causing a significantly lower environmental impact than non-organic equivalents. So a quick glance at the label to spot the word organic can help you and the environment! Of all the food that you eat, meat and dairy have the most significant carbon footprint. Eating meat can worsen your health, contributing a lot to ageing. It also has a very harmful effect on the environment, not least because of the land that needs to be deforested to keep the livestock on. The amount of animal feed that needs to be produced is also a huge burden. And it’s expensive to buy meat! Even if you don’t want to give up all your meat to become vegetarian, or even become vegan, simply cutting down on the amount of animal-based protein you eat, buying animal welfare-certified meats such as Red Tractor, and opting for local butchers over big chains can still have a great impact. But what about the actual foods we choose to buy? Buying vegetarian and vegan options is much better for the environment, but we can still be a little bit careful with our choices. The less processed the food, the more natural and, therefore, the better for the environment it is. Probably the most important thing to consider is for fruits and vegetables – buy seasonal! Know your fruits by the season they grow in. If you buy strawberries in winter, it’s likely that they’ve been shipped in from abroad, harming the environment along the way, and taking lots of intense farming to grow them. 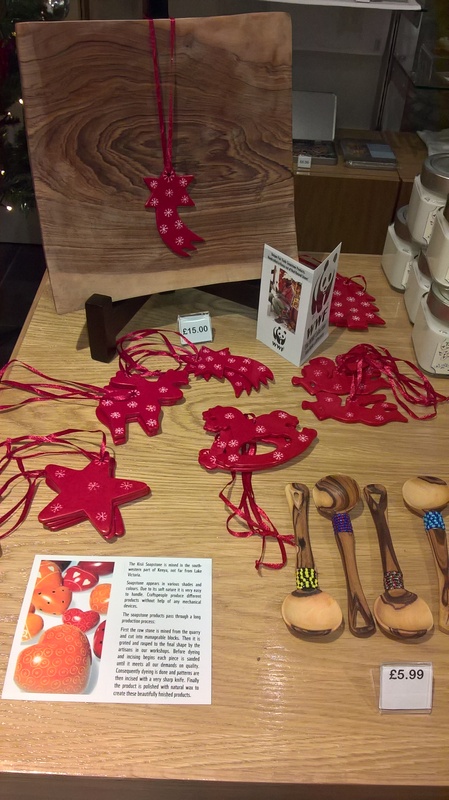 Which brings us to another important point – buy local! Even if we buy all the right foods: Fairtrade, organic, seasonal, vegan food, it is not without its carbon footprint. 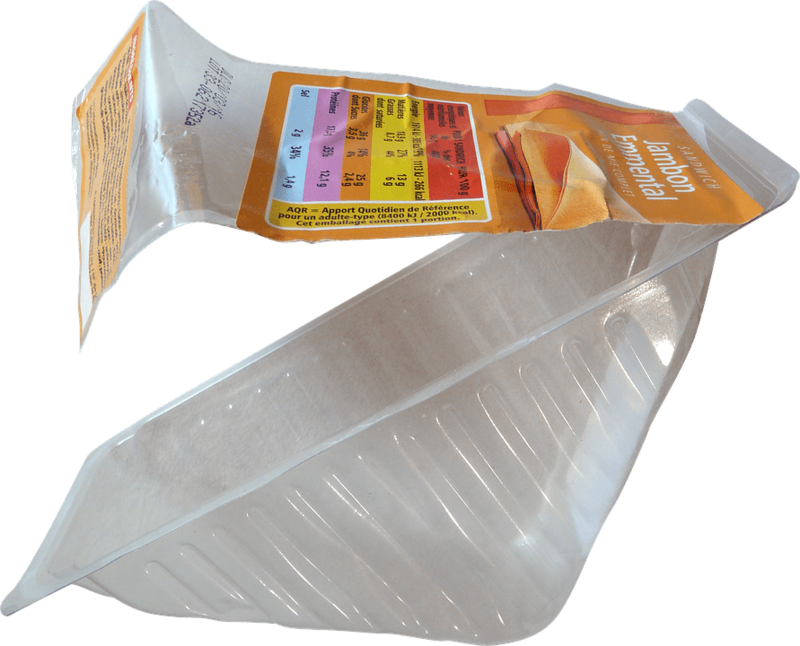 The majority of food items come in plastic packaging, which can be greatly harmful to the environment – accumulating in fish, birds and sea mammals and ultimately in humans. Trying to buy foods with reduced packaging, such as loose fruits and vegetables, can significantly reduce carbon emissions and pollution. The other issue is food waste. We often buy more than we need, with around half of the food produced in the UK not being eaten. While it isn’t nice to run out of food, splitting your shop into two isn’t so bad given the amount of food – and money- it could save in the long run. So how can we do this affordably? Fairtrade and organic food can be quite expensive, so what is our best bet for keeping the cost low? Cooking meals from scratch can be cheaper than buying readily prepared options. If you have any garden space, or access to a community garden, growing your own food can be a great option, and can also help as you know exactly how it was grown and prepared. Although buying more than you need can contribute to waste, buying cheaper seasonal food in bulk can be a good option – as long as your remember to portion it and freeze it. That way it lasts a lot longer, and saves you a bit of money along the way. And finally, opting for ‘wonky veg’ – vegetables that don’t conform to specific aesthetical standards, but are just are delicious and nutritious – is significantly cheaper than the conventional ones. It can sometimes seem daunting to start checking for sustainable food, but just remembering a few simple things can help your health and can have a positive impact on the environment. Look out for the Fairtrade Mark, check whether food is organic, buy less meat, buy local seasonal food and try to only buy what you need. That way, you can make a real difference. Every year the Environment Team calculates the University’s carbon footprint for the previous fiscal year. Below you can find the data for 2016/17 academic year. Under the 2009 Climate Change Act all public organisations have a duty to report to the Scottish Government annual carbon (CO2) emissions from business operations. This is why every year we spend a good amount of time pulling up all the information requirewd to calculate our institution’s carbon footprint. But first let’s take a look at what carbon footprint actually constitutes in. Carbon footprint stands for the amount of carbon dioxide (CO2) emitted into the atmosphere and is a metric used to estimate the impact a process, a person, or an organisation has on climate change. Carbon, in this case, represents the sum total of all the greenhouse gases, which trap heat into the Earth’s atmosphere, thus causing global warming. 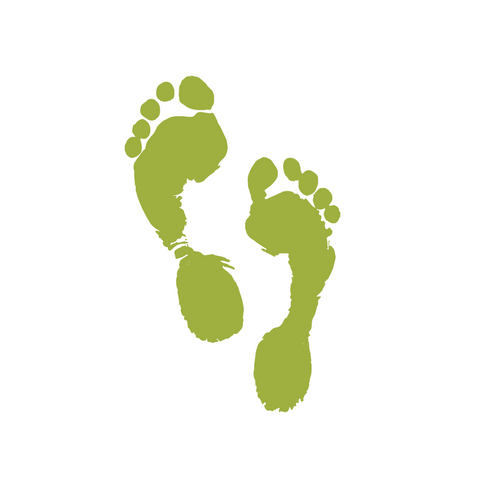 A persons’ footprint translates into the amount of resources she or he uses. This includes the modes and frequency of travel; the type of diet they adhere to; the amount of energy they use; the amount of waste they produce, the products (clothes, electronics, etc.) they buy. In short, every action and purchasing decision we take has a carbon footprint associated with it. Water – similarly to our energy demand, the growth of the University results in more water consumption, with the highest demand in halls and labs. How does this create carbon? The water and sewage has to be pumped and treated and that uses electricity. Waste – as landfill waste decomposes it releases methane (CH4) which is 25 times more potent than carbon in trapping heat . Further, there are carbon emissions associated with waste processing and transportation. We want to reduce this as much as possible – moving to zero waste to landfill. Business travel – as an international institution lecturers, researchers and staff are travelling around the UK and the rest of the world. We are also just starting to measure and report our emissions from commuting to and from St Andrews. We do this on an estimate, based on car emissions from University-issued car parking permits and travel surveys. Tell us in the comment section – how do you get to class/work each morning? 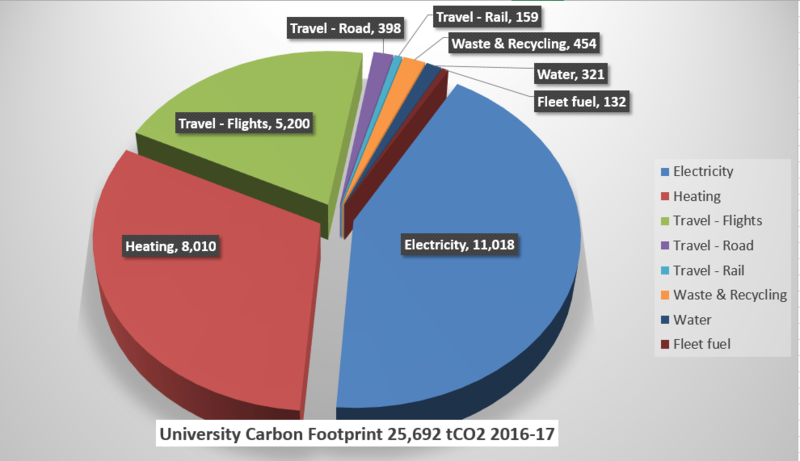 For the 2016/17 academic year the University’s carbon footprint amounts to 25,692 tonnes of CO2. This represents a 16% reduction in our carbon emissions from the previous year and 27.7% from our baseline in 2012/13! Emissions from Electricity (43%) declined from 11,970 to 11,018 tonnes – an 8% saving. Emissions from Heating (31%) – declined from 10,711 to 8,010 – a 25% reduction. The overall share of emissions from Travel also fell from 24% to 23%. The commissioning of the University’s BIOMASS DISTRICT HEATING at Eden Campus, Guardbridge. The biomass boiler went online in the beginning of January 2017 and during its first seven months of operation resulted in a 25% decline in CO2 emissions from heating. How can staff and students contribute to reducing emissions? Heating and electricity can both be big sources of emissions savings if used in a smart manner. Keeping radiators at medium to low temperatures and turning the heating off when opening a window would both result in fewer emissions overall. Turning off lights and plugging out electrical appliances further add up to emissions savings. Using LEDs will both save you money and reduce CO2 emissions from fossil fuels and waste disposal, since LEDs use less energy and last much longer than conventional bulbs. Just over the course of 2017, LEDs worldwide have saved 570 million tons of carbon dioxide from being released into the atmosphere ! Lastly, if you are a University staff member, you can find out your office building’s energy profile by emailing environment@st-andrews.ac.uk asking for access to the energy monitoring system. Knowing your office building’s profile would allow you to identify any energy intensive areas and make changes accordingly. If your job involves a lot of business travel, opting for the greenest transportation mode will significantly contribute to our emissions reduction targets. When travelling around the UK – choosing rail over domestic air travel will have the single biggest effect on reducing emissions. The University offers first class rail travel for any business trips outwith Scotland as a way of encouraging more sustainable travel. If you have to travel for business within Scotland, rail, bus, or car share are all less carbon intensive than driving to a destination alone. And in the event there is no other suitable option than driving on your own – you can still bring your emissions down by opting for an e-car from our local car club. For more details on how to book an e-car for business travel, have a read through this information leaflet – E-Car for Staff. 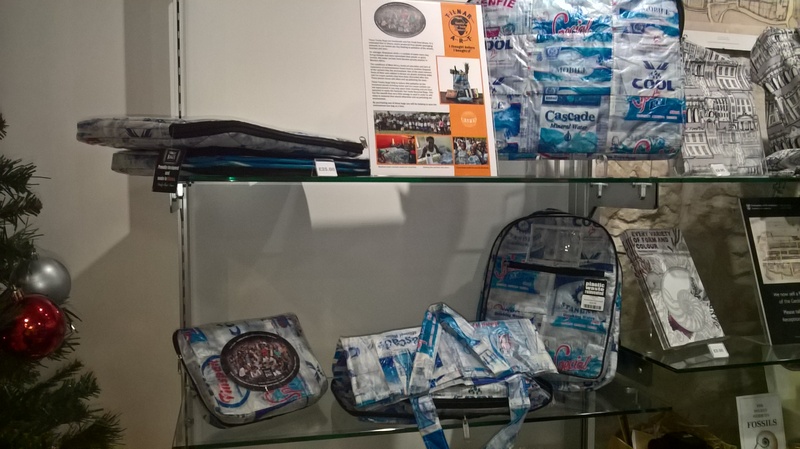 Monday saw the start of the annual Fairtrade Fortnight – a festival originating with the Fairtrade Foundation. 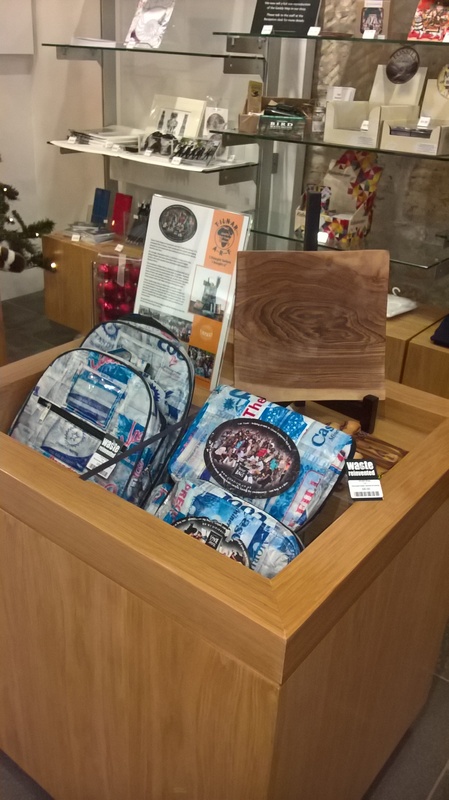 University of St Andrews has been a Fairtrade University since 2007 and as such partakes in the celebrations at the end of February and beginning of March every year. 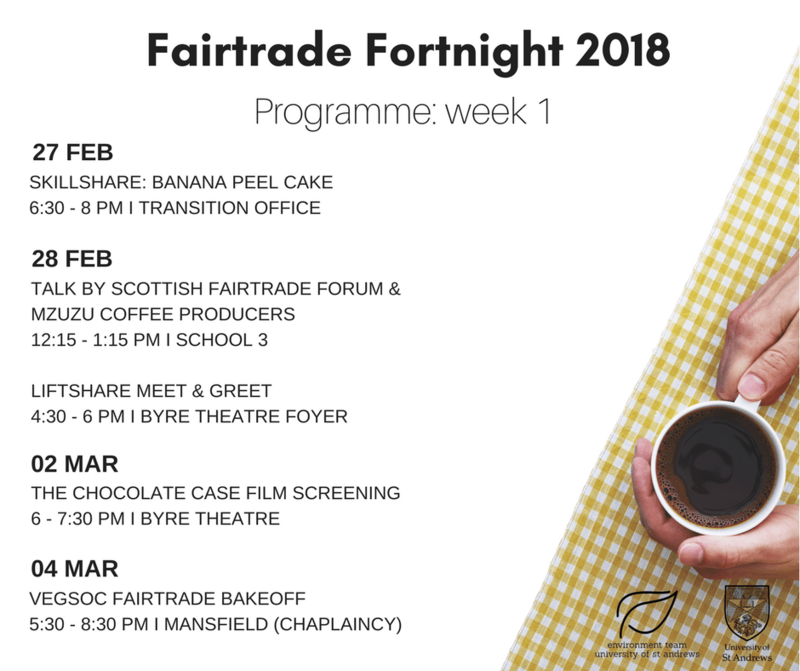 The 2018 Fairtrade Fortnight runs from Feb 26th until Mar 11th and University of St Andrews’ Environment Team, along with a few student societies and Transition, have an extensive programme of events open to both staff and students, as well as to the public. What does Fairtrade actually mean? Fairtrade, as a certification body, conducts independent audits, ensuring those standards are met along a product’s supply chain. When all of the ingredients that can be Fairtrade in a given product are confirmed to comply with standards (e.g. 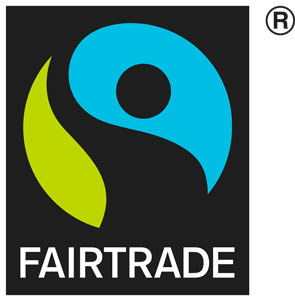 sugar and cacao powder in chocolate chip cookies), the product is issued the FAIRTRADE Mark – a logo widely recognised by consumers, which signals the product’s sustainability credentials. In previous posts we have covered Fairtrade in much detail, and if you would like to learn more about the cause and certification criteria, have a read through our blog posts or visit the Fairtrade Foundation website. University of St Andrews continues to expand its fairtrade product range and 2017 saw the introduction of fairtrade bananas across campus. 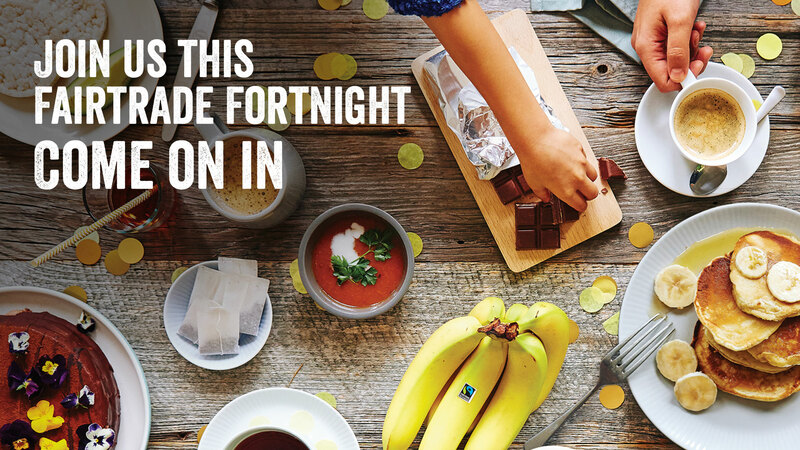 Currently 100% of bananas, sugar, coffee and hot chocolate, served on campus are fairtrade-certified, with 100% of tea, served in student accommodation and sold in University-owned retail outlets, also fairtrade certified. Our chefs are constantly experiment with different fairtrade ingredients such as rice in order to find the best fit for needs of such a large institution as ours. What events can I attend this year? A Fairtrade Tea and Coffee afternoon – Wednesday (Feb 28th), 4:30 – 6pm, Byre Theatre. This is a LiftShare Meet & Greet event – promoting the University’s car sharing scheme – and if you are in need of some caffeine and would like to learn more about LiftShare, stop by and don’t worry about staying for the whole event as it is a drop-in session! Another exciting event happening in the Byre is the screening of the documentary ‘The Chocolate Case’ – A group of journalists become aware of child slavery in the cocoa industry and, since slavery is a crime, they idea is to get convicted for eating chocolate. When the big companies refuse to cooperate by producing a slave-free chocolate bar, the team decides to do accept the challenge and make their own. If you are curious to see how well they managed and would like to try the slave-free chocolate bar, head over to the Byre Theatre on Friday (March 2nd) at 6pm. This is a FREE ticketed event and you can get your ticket either at the door, or pre-book online at http://byretheatre.com/events/the-chocolate-case/. Thirdly, we have a Fairtrade Vegan Bake-off taking place in the Mansfield building on Sunday (March 4th). You can enter the competition or simply attend and enjoy the finished result. We still have a few spaces left for competition entries and VegSoc are offering a prize for the winner (for more information, contact VegSoc directly). Tickets can be purchased through Eventbrite. 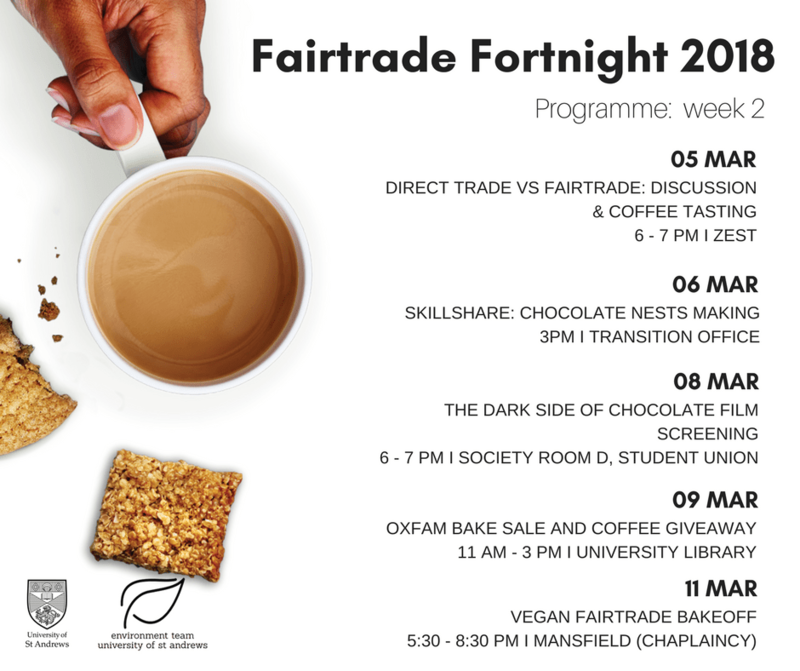 We have many more events planned for you, most of which are FREE and include fairtrade goodies GIVEAWAYs, so please check out the event programme below! All events tagged with a star (*) are free of charge and will be accompanied by a fairtrade chocolate giveaway! With the academic year fast approaching we are excited to welcome a new cohort of students to University of St Andrews. It could be overwhelming for some when moving to a new place and learning your way around town. This is why as a recent graduate our sustainability intern, Mariya Simeonova, is here to offer some advice about how you can foster a low-carbon way of living as soon as you arrive in St Andrews. Hello and welcome, class of 2021! I know you must be equal parts excited and terrified about starting this new chapter of your life, and I would try to ease the load a bit by providing you with some handy and very concise information about everything sustainable in St Andrews. Many of you will be in catered halls, however, in case of getting tired of take-aways on weekend nights, here are some tips for grocery shopping and food preparation. Most grocery shops in town offer a variety of organic, and fairtrade products at affordable prices, so you are spoiled for choice. There also are many locally-owned shops offering regional and local food with minimal packaging, resulting in a lower carbon footprint. Further, Transition University of St Andrews runs a non-profit online and pop-up shop for affordable local, organic and fairtrade produce called The Tree, so make sure to check their website. When it comes to food preparation, chopping the produce into small pieces, allows for a faster cooking process and less energy consumption. Transition also offer various Skillshare events on how to cook and prepare food staples such as bread, chocolate and hummus, which you would otherwise buy from the store with all the packaging they come in. Moving on to the topic of commute, most University halls and buildings are within a walking distance from each other and the town centre. Yet, if you are based at DRA or Albany Park, you might be tempted every once in a while to call a taxi. Yet, there are so many cheaper and more sustainable options for you to consider. Walking is not only a great exercise but it also stimulates creativity and mindfulness. Plus the beautiful wildlife and architecture you come across when exploring St Andrews on foot is worth the walk! If you live in DRA for example and would like to do some grocery shopping, why not take a short cut through Lade Braes and head over to Aldi, Morrison or M&S? Cycling is a great way to travel carbon-free, and we work hard on ever-improving the cycling infrastructure in and around St Andrews. You can purchase a bicycle at some of the bike sales organised during Freshers’ Week, and cycling lights and robust bike locks can be found at a cost-price form the University Shop – just go in and ask for them as they are not on display. And if you miss the bike sale at the beginning of the academic year, fear not! Transition runs a bike hire scheme, lending bicycles equipped with everything you might need. If you would like to explore North-East Fife or even further, why not take advantage of your student discount and buy a week pass for public transport. The bus station is very central, the route network is good and you get free WiFi on board! And, in case you need to travel further afield, Leuchars railway station is just 20 minutes away by bus. Our university has partnered with E-car to create our very own car club! If you want to explore a route,not serviced by public transport, are moving house, or need a car for any other reason, we’ve got you covered! Our car club has a fleet of ten all-electric vehicles and a network of charging stations across campus, all at your disposal for an affordable price. There is such a wide variety of environmentally-themed student societies and local organisation, that we even have our very own Green Fayre at the start of Fresher’s Week. If you would like to meet our team and the rest of the ‘green’ societies and organisations, on Monday 11th September come along to the lawn, located between the University Library and the International Relations Building. There will be lots of friendly people to meet and chat with, live music, lots of freebies and maybe even some delicious food! For the purpose of brevity, this post doesn’t even begin to cover all the sustainable initiatives taking place across campus and the opportunities and amenities you have at your disposal. Hopefully I didn’t overwhelm you and will get the chance to chat about sustainability with some of you at Green Fayre! This week the Environment Team welcomed their new Sustainability Intern, Mariya Simeonova, to the team. Mariya recently graduated from the University of St Andrews with Geography and Management (BSc JH). She is looking forward to taking over and developing the projects that Lindsey Mackay, the previous Sustainability Intern, has been working hard on over the past year. Having spent four years studying about sustainability and environmental management, Mariya is keen to apply that knowledge to her new role and contribute to the University’s sustainability agenda. Over the next year, Mariya will be concentrating on outreach and engagement with the student community, university staff and local residents. Mariya’s main role consist in collaborating with university departments and units on sustainability initiatives such as the Environmental Facilitators Network, Fairtrade and the annual Travel Survey. Further, she will be working alongside Transition and student societies to deliver a calendar of environmentally-themed events including Green Fayre, Green Week and Fairtrade Fortnight. She will also support the other members of the team: David Stutchfield (Sustainability Manager) and Barbara Aitken (Environment Officer) on their projects and the development of the university’s wider sustainability agenda. You can stay up to date with what the Environment Team are working on through their Facebook page, Twitter and Instagram. This week we discuss green infrastructure and how estates and the management of buildings, both within the university setting and across the globe, has a huge potential to decrease carbon footprints within universities and businesses alike. Over the past year our blogs have been written by our current Sustainability Intern, Lindsey Mackay. We look forward to welcoming our new intern, Mariya Simeonova, who will be taking over from Lindsey and starting her new position with us in the Environment Team at the beginning of August. Over the past month or so the university campus has been very quiet. With classes over for the summer and students gone on holidays the university may seem like it has slowed down, however behind closed staff continue to work hard as we strive to make the university a better place. The Environment Team have been hard at work compiling data together for our annual end of year reporting. Data analysed will give the university a solid idea of how much energy has been using over the past academic year and the volumes of different types of waste that the university has produced. One of the main ways in which the university can reduce and lower its carbon footprint is through the design and management of its buildings. Since buildings currently account for 40% of global energy consumption, organisations, businesses and estates have the chance of making real, tangible change for the benefit of our environment. Our vision is to become a carbon neutral campus, not only because we aim to become a leader within environmental sustainability, but because increasing numbers of prospective students across the world are making critical decisions on which universities they are applying to based on what how committed the university is to sustainability and the environment. Within the university we strive for sustainability by driving down energy demands, production of waste being sent to landfill, with a strong focus on societal impacts and how overall financial savings can benefit the long term future of the university. These are all areas that are currently under consideration as we look towards updating the Carbon Management Plan. Our vision for planning and strategy development is to reflect current conditions and services, facilitate employee engagement in the development of plans, and formulate realistic targets which can be met by placing appropriate facilities and resources that encourage campus wide changes and conscious movements towards sustainability. The journey to carbon neutrality can also include low cost initiatives which use small, every day, behaviour changes which can have significant impact. 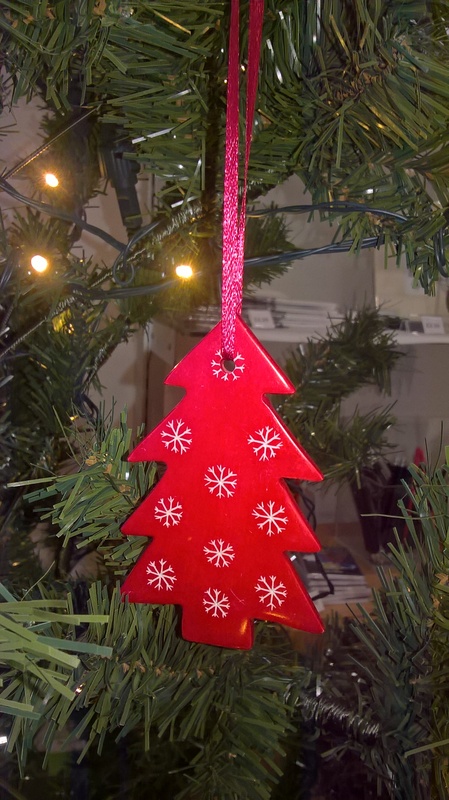 We encourage our staff and students to get involved in any way they can, whether that be turning down thermostats in halls of residence or turning off electrical appliances before they leave the office at the end of the day. We were proud earlier in the year to have been awarded Cycle Friendly Campus with Distinction and we believe that this is just one way in which we are showing our commitment to positive change. The award recognises many different factors, however one of the main priorities is the provision of services and facilities, including bike shelters and training, available to staff members and students. This award has also helped to shape and direct the writing and planning of the university’s Travel Strategy which aims to guide future infrastructure and development. By targeting the needs of staff and students, using informed baselines we hope to encourage everyone to consider how they get to work and whether they could make a small change with the vision of large benefits. If you would like to learn more about the university’s plans for updating our Carbon Management Plan and other related strategies please email environment@st-andrews.ac.uk. Although the weather might be variable in Scotland we do often get a short wearing kind of day, and these should be taken advantage of. Whether you are considering what to do this summer holiday, or have already decided to spend some time at home, have a look at our recommendations of things to do in and around St Andrews, and in Scotland. Let us know if you decide to go exploring as we always love hearing from you. If you are considering how you are going to travel think about hiring out an E Car for the day. There are plenty to book out from various stations around St Andrews and are affordable and have low carbon emissions. If you want to know more, follow this link. Craigtoun Country Park, is just 2 miles from St Andrews and is easily accessible by bus, bike or on foot. Activities within Craigtoun Country Park include a playpark, rowing on the lake, crazy golf and trampolines! St Andrews has three beaches which you can enjoy, and on a warm day take a good book to read at. West Sands offers a long afternoon walk, and you can cut back along the Old Course finishing back at the 18th hole! East Sands is shorter but is just as popular. Grab an ice cream, take a walk along the pier and finish by strolling along the sea front. Last but not least is Castle Sands. Although the smallest beach in St Andrews, Castle Sands is perfect to take a picnic down to, and has a pool suitable for paddling in or for practicing your rock skimming skills. Along the coast from St Andrews you can discover quiet little harbour villages with excellent food and drink opportunities waiting to be discovered. These areas are accessible by bus (or be E Car! ), or on foot if you fancy taking a long walk along the scenic coastal footpath. Villages including St Monans and Crail are worth visiting, with the Cocoa Tree Café in Pittenweem, and Anstruther’s famous Fish Bar a must! 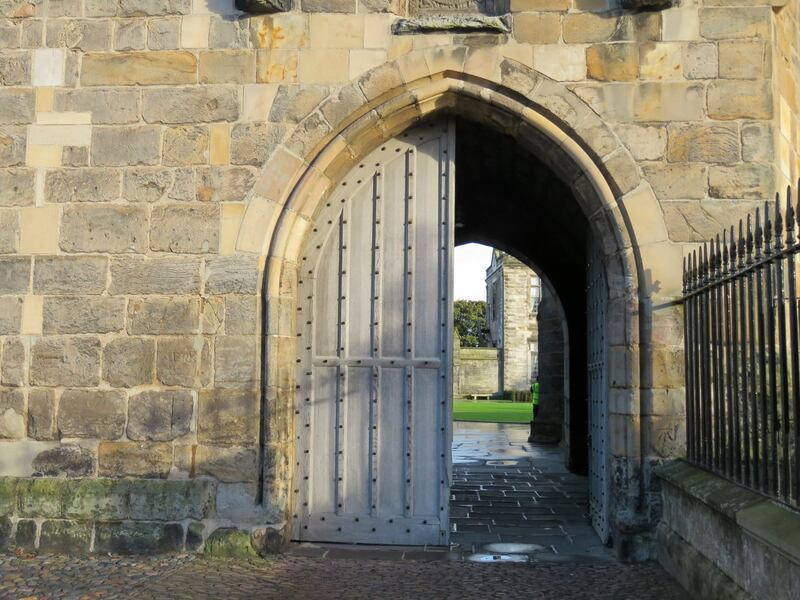 Stirling is a city rich in history with plenty to do for all ages and interests. Stirling is also surrounded by beautiful countryside, making for the perfect escape if you want some peace and quiet. The iconic Wallace Monument and Stirling Castle are well worth a visit and can be both done easily in a day. To get to Perth you could hire out on of the E Cars, or take a bus to Dundee and hop on a train to Stirling for the quickest route. Edinburgh, the capital of Scotland, is well worth a visit even for a day or two. You won’t be short of things to do from visiting the Castle, to exploring the beauty of the Botanic Gardens. If you want to escape the hustle and bustle of the centre of city take a walk down to Stockbridge. There you will find beautiful cobbled streets waiting to be explored with many interesting coffee shops and lunch spots to be tried! We recommend travelling by train to enjoy the most scenic route to Edinburgh from St Andrews and to experience crossing the iconic Forth Rail Bridge. Trains run regularly from Leuchars and will take you straight into the heart of Edinburgh. Alternatively, you can take the X59 bus directly from St Andrews to Edinburgh. Skye is one of the most popular destinations for locals and tourists to visit. If you go you will understand why! The islands boasts stunning scenery and is a popular destination for walkers and climbers of all experiences. The island is also popular with those who love to see wildlife and, in particular, bird watchers. Skye is home to the White Tailed Sea Eagle which attracts many people from far and wide, however you may also be able to spot dolphins, whales and red deer! Other islands are easily accessible from Skye so if you wanted to extend your trip and discover more of Scotland you could do so with ease. Most people opt to rent a car if they are travelling to Skye, however you could also choose to take the train to Glasgow and then onward to Mallaig. From Mallaig a ferry can be taken which will take you to Skye and then the adventure really begins!